It's Friday and another great SOUS (Stuck On U Sketches) Die Cut challenge coming your way! 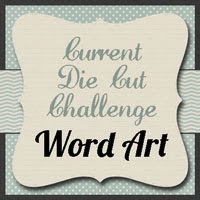 This challenge we were tasked with creating a project with "word art" on it. What a great idea and can go in so many directions. This is the layout I came up with. Here is a view of the entire layout. I used some pretty papers from Quick Quotes Mary’s Garden. I used some SVG files from PaperCraftingWorld.com. Here’s a closer look at the title Spring Has Sprung. Here’s a closer look at the sitting turtle paper piecing. Here’s a closer look at the standing turtle paper piecing. Additional Supplies White Chalk Marker Various colored cardstock Queen and Company Mini Brads Misc. Ribbon I did make this layout into a few kits which can be snapped up at page-kits.com beginning Sunday. There will also be a boy version too. Those turtles are TOO cute!! I love that title too and wish I could use it myself! TOO stinkin' cute!!!! Love those little turtles and the color combo! Great LO, my friend. I love that spring!! Such a cute page! This is such a super cute layout !!! Great design :) ! Fantastic layout. I so love your "sprung".